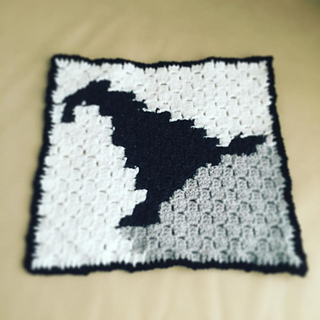 To celebrate the season of spooks and witches I have created a monochrome Hallowe’en Graphgan Blanket. 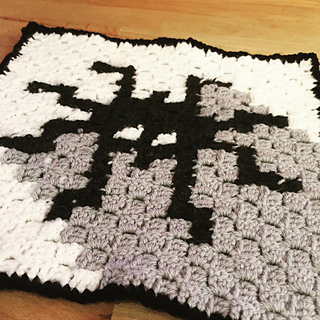 The best part is I’m sharing this beauty with you as a FREE Crochet Along! 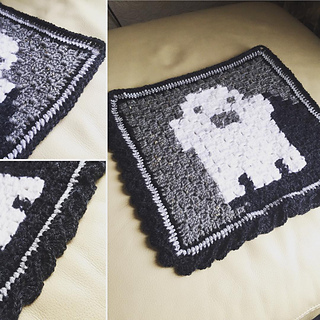 If you don’t know what a Graphgan Blanket is, let me explain…. 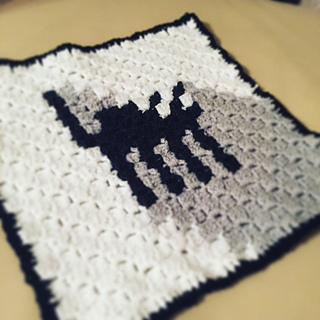 Graphgan is the name given to a C2C (Corner to Corner) blanket with an image created out of the squares. 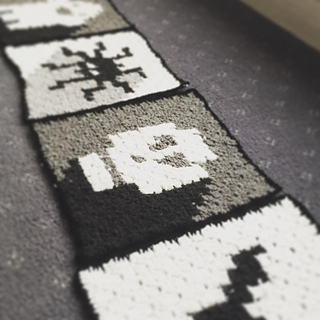 In effect the squares of the blanket become pixels in a picture. 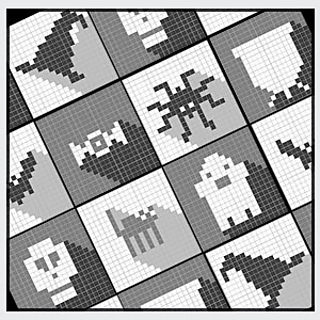 Think along the lines of the graphics for space invaders or cross stitch. The image graph is central to the pattern, hence the play on the name graphgan in place of afghan blanket. 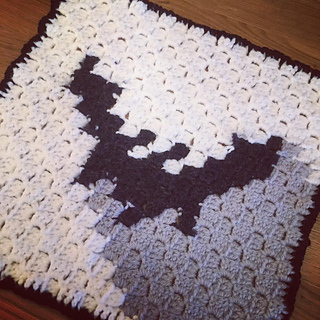 This Monochrome Halloween Blanket uses a selection of only 5 shades black, white and three greys. A stunningly simple, modern design created in small blocks which are joined with a black border and finished with a tri-colour border. Each of the 16 blocks can be used as a simple decoration or place setting on it’s own or combined to create a beautiful holiday blanket. I will be releasing a new block each Monday and Thursday from 26th September 2016 with the last update available on October 24th showing you how to join and edge the blanket blocks. As always the pattern will be explained in detail with supporting video tutorials. Share your creations, questions and support through the “Starting to Crochet” group on Facebook for this CAL. I hope you are as excited as I am for this pattern release! Each Piece of the pattern can be found on my website as they are released. As the individual blocks are released the photos will be added to the pattern description. The pattern will remain on the site, I have no plans to remove or hide it once the Halloween season has ended.